Few automotive brands around the world have the reputation for luxury that comes with the Mercedes-Benz name. “The best or nothing” accurately sums up the German automaker’s approach to car making. As an experienced Mercedes-Benz repair shop in Tampa, FL, Pro Auto Care, Inc will competently care for yours under all circumstances. Mercedes-Benz offers a complete line of vehicles, including their highly popular Sprinter transport van. Every Mercedes model around Hillsborough County, from the C-Class to S-Class and more, calls for the finest attention under the hood. If you drive a Mercedes-Benz, count on Pro Auto Care, Inc for all your Mercedes-Benz repair needs. Mercedes-Benz repairs, when completed at the dealership, can be expensive. Pro Auto Care, Inc is your dealer alternative, as we perform all maintenance necessary to keep your Mercedes-Benz running at it best. Since 1988, our team has worked hard to complete all procedures accurately and efficiently. Adhering to the factory maintenance schedule is vital to Mercedes-Benz longevity. Before an expensive Mercedes repair strikes, visit us for preventive maintenance to keep your Benz in good working order. Our 12-month/12,000-mile warranty will give you peace of mind in the long run. 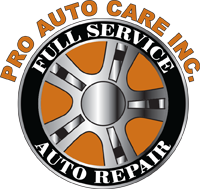 Altogether, Pro Auto Care, Inc is proud to be your trusted choice for a full range of Mercedes-Benz repair tasks. Turn to Pro Auto Care, Inc in Tampa, FL for complete Mercedes-Benz repair and service.